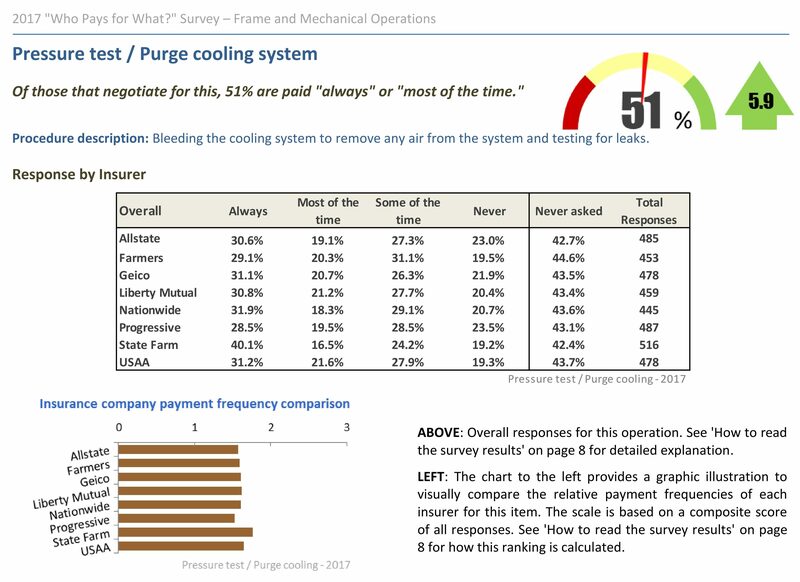 The July “Who Pays for What?” survey found 51 percent of shops consistently paid by the nation’s Top 8 insurers for pressure-testing and purging cooling systems, a 5.9 percent increase over 2016. But despite the success of their peers, more than 40 percent of the hundreds of shops polled aren’t even asking to be reimbursed for these not-included operations, study authors Collision Advice and CRASH Network announced Monday. The quarterly surveys provide shops and insurers with proof that a particular repairer isn’t the “only one” asking to be compensated for legitimate not-included operations. They also suggest that many shops are leaving money on the table by not charging for items that an insurer might not even question. Learn more about estimating during the SEMA Show from Mike Anderson, Collision Advice, with “100% Disassembly Best Practices – with Parts Mirror Matching”; John Shoemaker, BASF, with “The Basics of Blueprinting”; Matthew McDonnell, Big Sky Collision Centers, Will Latuff, Latuff Brothers Auto Body, with “Building a Bigger Estimating Toolbox”; and John Niechwiadowicz, QLC on behalf of BASF, with “Thorough Estimate Techniques for Special Finishes.” The sessions are part of the Society of Collision Repair Specialists’ Repairer Driven Education Series Oct. 30-Nov. 3. Register here for the individual classes or the series pass package deal. The latest survey, which asks about insurer receptiveness to shop supply and aluminum repair charges, is open to the industry through Oct. 31. Owners, managers or estimators are urged to complete it here, and participants will receive a free copy of the subsequent “Who Pays for What?” quarterly report. All responses are kept confidential; only aggregate statistics appear in the document. As is often the case in the “Who Pays for What?” results, State Farm and USAA were the best about paying shops who bill for the cooling system line item. About 40.1 percent of the shops requesting reimbursement for that work reported being paid by State Farm every time they asked for it. Insurers might not be able to expect a consistent time for such work given changes in vehicle technology, according to Anderson. 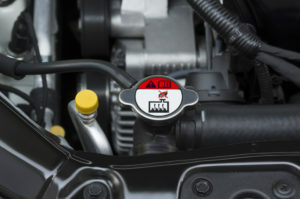 It’ll depend on the OEM procedures.